The boys did their homework well this week with some very successful pre-fishing for this weekend. Yesterday morning we landed on a serious school of fish. They found the masses as well as a few that had just visit the gizzard shad buffet. Our guys iced an 11.5lb, a 10lb, and Ryan iced this 14lb - 32" Walleye. Everyone caught fish, and some caught a lot of fish. With perfect weather, and plenty of fish, it was an amazing day. Did I mention the perfect on ice fish fry! As long as they were within the regs... there isn't a problem. Agreed GCD, nothing wrong with eating a big fish if you're within the regs. GCD there is no jealousy intended there at all. Great catch....looks like you guys had a blast. Always amazes me when you get back and try to share a bit of what you experienced with others there is always someone willing to provide you with a bit of flack. I can think of alot worse things I have seen on the river from steelheaders then this fellow keeping a trophy pickeral.. Good on him and CONGRATS on a nice fish! I never said they weren't good fish, and I know that they are doign well compared to most people on quinte. I just think it's a shame fish like that get killed with the technology we have there is no need for skin mounts so you can't use that as en excuse... He is a very good guide I just think maybe it'd be better for the fishery if releasing big fish was encouraged. Sounds like a real amazing day! Those are real amazing fish especially the 14 lber. In the 90's walleye's thru the ice at Quinte was my favorite fishing. It died down in the early 2000's but looks to be coming back! Have to head down there next winter! This giant pickerel raises a question that perhaps could be a thread of it’s own rather than piggy backing, but here goes: I wonder how you catch a brute like that on spindly little ice fishing rigs? And if you can, then why do we use 7’ rods etc. in the summer? We always encourage the releasing of the larger fish, and most of the fish caught yesterday were released. 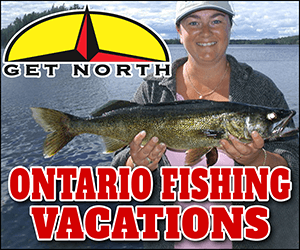 Two anglers did keep a limit each, but the large group kept a couple of 2-3lb fish and threw back a plethora of 5-6lbers. We ourselves try to never keep any fish over 4lbs. With all of the fish that we catch, why would we. 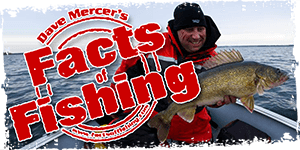 There are plenty of 2-3lb fish that we can selectively harvest. Beauty fish Jeff. I agree with those that said that you are within your legal rights. I'd get that biggun' mounted by a good taxidermist. couple of pic's and on your way. man,, i'd sure like to go knockin'on doors sayin' "look what i caught"
that's an amazing brute . once in a life-time for me . no doubt ,,, i'm knockin'on doors ,"look what i caught". what a great outting . thanks for envy i'm feelin. lol. Great catch and super report. Theres a couple reasons on this thread why people dont post reports anymore. If you guys feel the need to destroy a report like that, a PM would be smarter.